Seekonk, MA - 3,800 s.f. 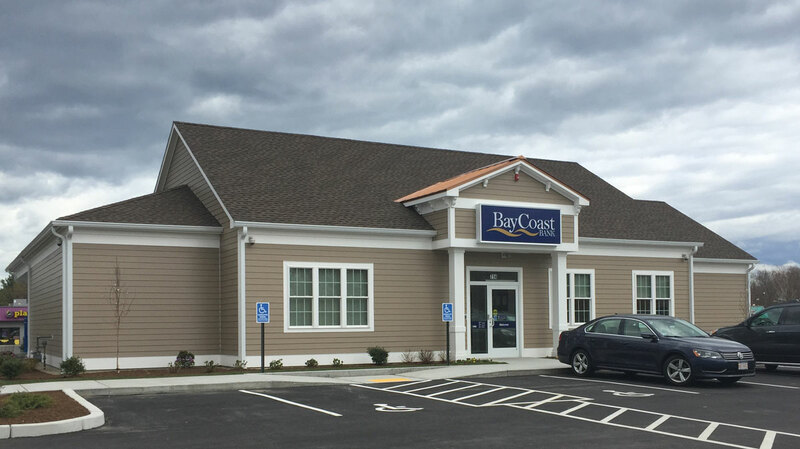 North Dartmouth, MA - 1,500 s.f. South Dartmouth, MA - 3,200 s.f. 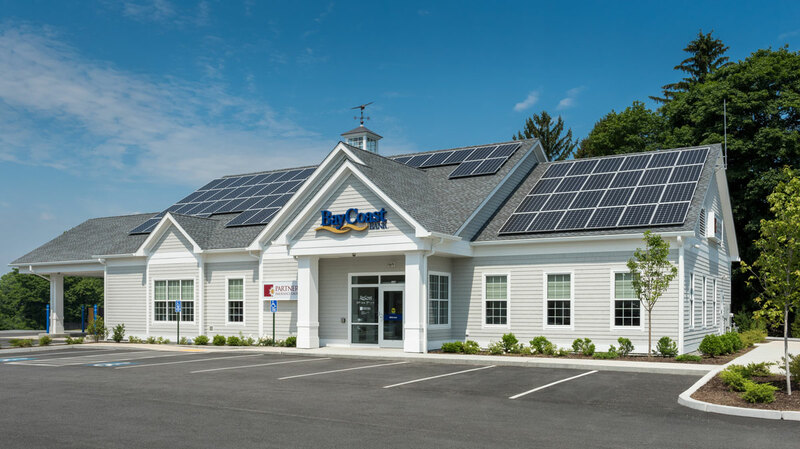 Fairhaven, MA - 4,750 s.f. Fall River, MA - 3,000 s.f. 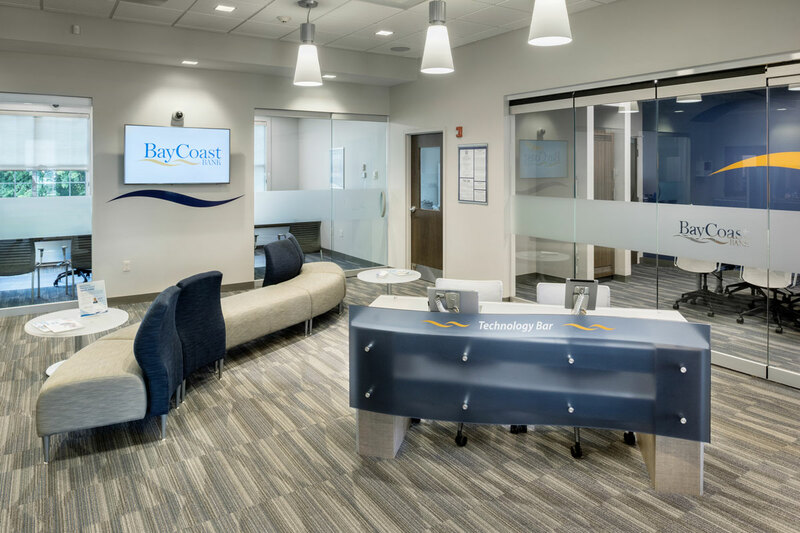 As part of a continuing effort to establish a new brand identity, BayCoast Bank and Vision 3 Architects partnered to renovate and expand their existing network of branches and design a new interior contemporary banking concept based on a “pod” design used as a prototype standard for all future branches. 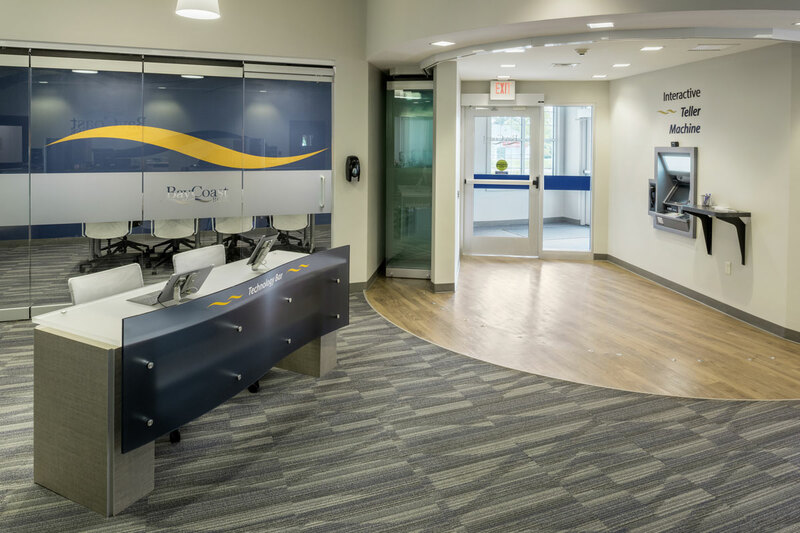 The contemporary interior design concept accommodates next-gen bankers, embraces new banking technology allowing the branches added flexibility to better serve their customers. 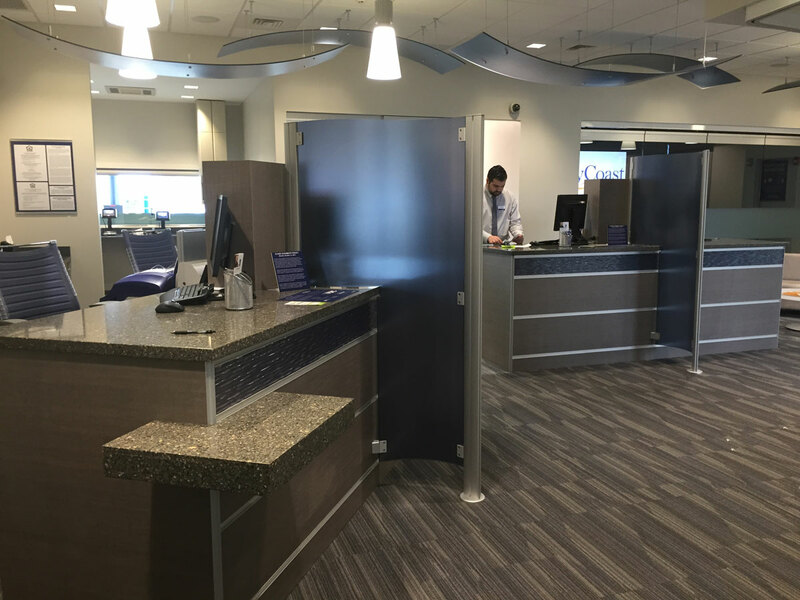 The branches feature an Interactive Teller Machine, extended hours of service during the week, universal banking pods, and a technology bar, providing a personal service option for the home computer banker. 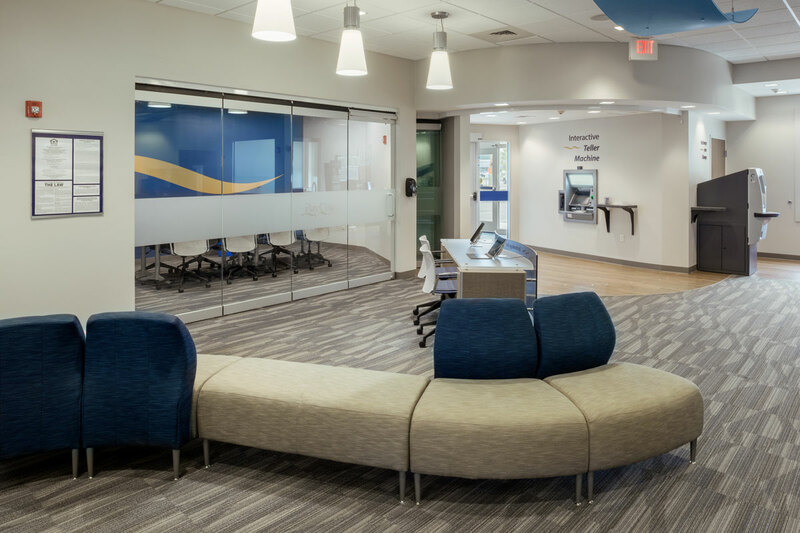 Sustainable design features include a high efficiency building envelope, and solar panels.